Stay cool and comfortable when it heats up outside with a central air conditioner you can rely on. 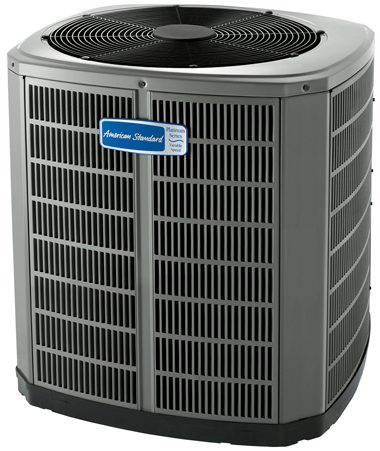 Our home air conditioners keep your home cool on the hottest days with reliability and efficiency you can count on year after year. Click here to learn more about what options are available to you. 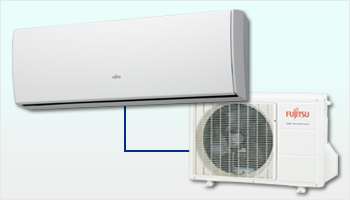 Like conventional HVAC systems, Ductless Mini-Split systems locate compressor and condenser outside the house. But these systems eliminate the need for a basement- or attic-located evaporator unit and bulky ductwork by using thin copper tubing that pumps refrigerant directly to discreet wall mounted blowers inside. Even more remarkable, this same unit works in reverse in winter, absorbing heat from the outside air and moving it indoors to heat your home. Available in numerous mix-and-match capacities and configurations, there's a mini-split system for even the most difficult to heat and cool areas. Ideal for the swamp cooled home wanting to switch to A/C but without having to add duct work. Click here to learn more.